Jordan is a great place with a bit of everything: scenery, history, monuments… I again came back with a huge quantity of photos. Today I am narrowing down to my 7 best shots from my week in Jordan (well, my favorites at least). 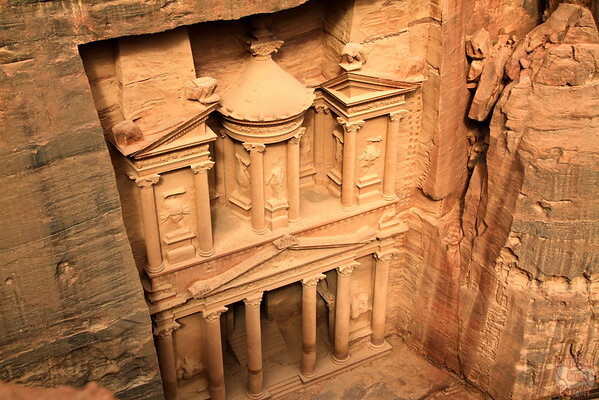 The Siq is the long gorge that leads to the hidden city of Petra. The Treasury is at the end. It is the most famous Monument of the site. 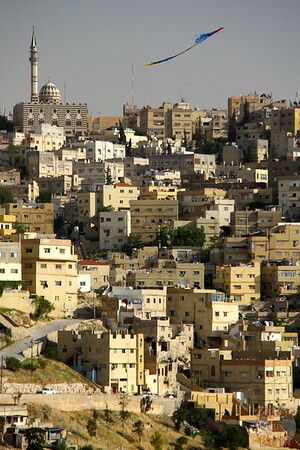 It really represents Amman with the square buildings on a steep hill ad a kite surf flying on top of that. So typical of this city! 3. A very hot country! 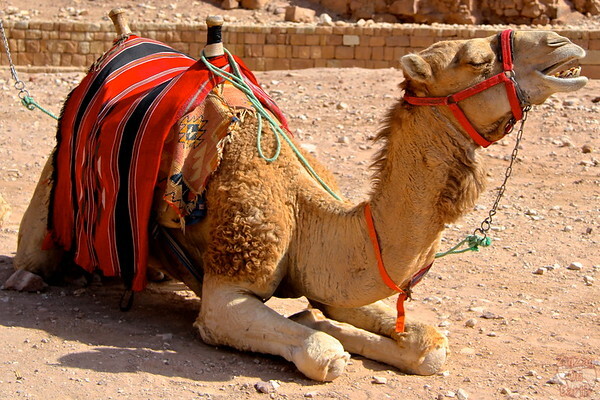 The position of the camel enjoying the sun is how I felt while in Jordan: simply stop and asborb the heat! angle angle angle. I can't believe I did this hike to reach a natural platform with this view! Deviating from the Madras Trail there is a path going into a "gorge" all the way to the Treasury. The contrast of the old ruins in the front and the new town of Jerash in the back. Plus I was all alone to admire those ruins! 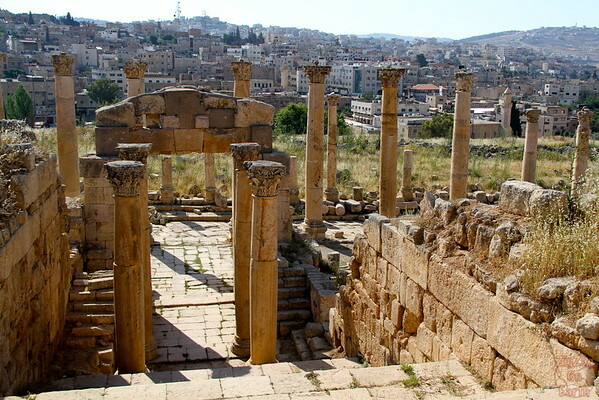 Jerash is a a roman site with many interesting ruins including columns, temples and 2 theaters. It stands in the middle of the mordern city of Jerash. 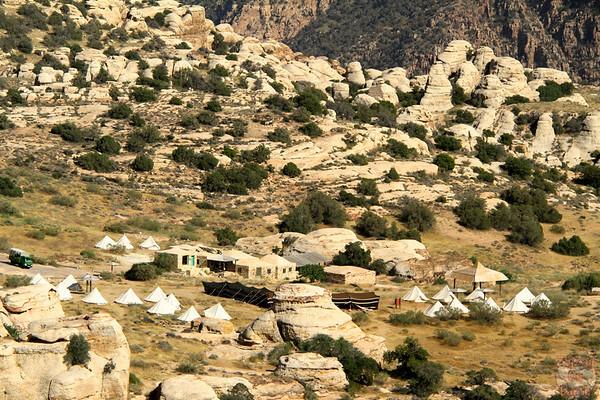 It shows the remoteness of the camping site and the crazy rock formations of the Dana Nature Reserve. I loved every minute of my time there. The Dana Nature Reserve is located in the South of Jordan. It has a deep gorge, many hiking trails and wildlife I sadly did not spot. The deep colors and the contrast of the soft sand and the hard rock mountains of the Widi Rum desert. The person and the 4WD give me a longing for adventure. 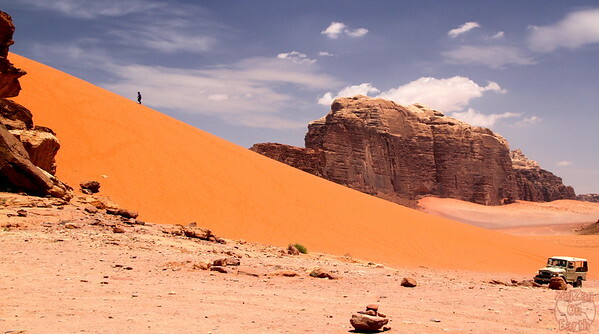 Wadi Rum is a stunning and colorful desert in the South of Jordan. I found your amazing travel site yesterday. My family is planning a trip to Petra at the end of July and I have found your travel tips helpful and your photography inspiring! I have a few questions for you regarding your time in Petra. 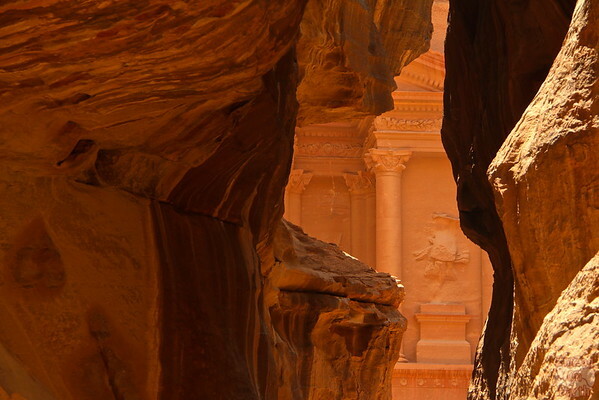 You mentioned getting to Petra early and taking a break in the hottest part of the day, what time of year did you go? I am very worried about the heat in July. You mentioned covering your skin – would knee length shorts be OK.
How did you manage the weight of your camera/lenses on your hikes? Do you use a travel lens that allows you to cover a large range of focal lengths? Do you feel safe carrying camera gear? Thank you for all the great info you share. Mary. Thanks a lot for you comment. I am very happy that you are enjoying my site and finding my tips useful. I went to Petra in May. It was already very hot. I stopped roughly between 11 and 2:30. But it was already hot going up those stairs at 10am. My advice is wear white clothes and a good hat. And drink plenty. The salted potato chips really helped recover. Regarding clothes I did cover my knees. However his is a very touristic place and people are used to foreigners. Knee length is OK. Regarding my camera. I carry a huge 7D with one lens that covers a good range. I get sometimes frustrated not having a wide angle but I am already carrying that plus my binoculars, plus my small Panasonic (TZ30 at the time) and sometimes my huge tripod (although not in Petra). So I accept the frustration vs weight. Quick note about my binoculars. Petra is not really the place where I made most use of them. But from the high place of sacrifice my guide was so excited to see all the tombs at a distance with my binoculars! It was fun to watch how locals still get amazed by the site.